A plea hearing has not yet been scheduled. Jouett, now 17, had been a sophomore at Clovis High School in the New Mexico city of just 39,000 people near Texas border at the time of the shooting. His attorney said the teen agreed to plead guilty to all counts to avoid a lengthy trial that could have further distressed victims. Authorities had identified more than 100 witnesses to the shooting. The Associated Press generally does not identify juveniles charged with crimes as a matter of policy. It has identified Jouett, however, because of the seriousness of the crime. Taylor has filed a motion advocating for him to be sentenced as a juvenile, saying he is prepared to present scientific research showing that 16-year-old adolescent brains can limit their perceptions and self-control. 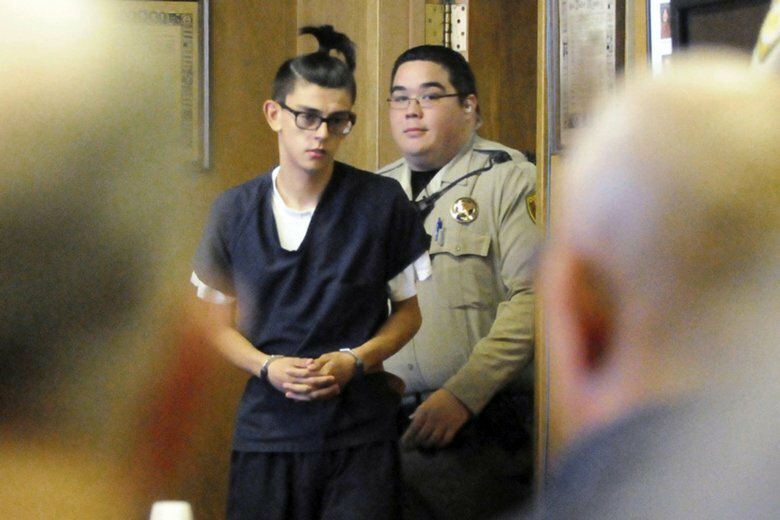 Under New Mexico law, 14-year-olds convicted of first-degree murder are guaranteed a hearing to determine whether they should be sentenced as juveniles or as adults. Juveniles between 15 and 17 are not. Prosecutors said last year that suicide notes were found at Jouett’s home, and the teen’s pastor also has said he contemplated suicide several months earlier. Jouett told investigators he had been thinking “bad things” for some time and initially planned to target his school because he was angry, court documents said. The teen said he didn’t know why he went to the library and that he didn’t know the victims. Jouett’s father called Clovis police when he discovered two handguns missing and reported his son missing, but the shooting had already happened. The teen also said during the interview that no one liked him and he had thought he would kill himself or “kill a bunch of people,” the court records said. Police said Jouett did not resist officers after they arrived at the library. The two workers killed were circulation assistant Wanda Walters, 61, and youth services librarian Kristina Carter, 48. Wounded were circulation assistant Jessica Thron, 30, and patrons Noah Molina, 10, his sister Alexis Molina, 21, and Howard Jones, 53. This story corrects a previous version that misspelled Jouett’s first name.